Google has just officially introduced Android handset made, Nexus 5. Equipped with high specifications, the Nexus 5 sold pretty cheap compared to Android in its class. 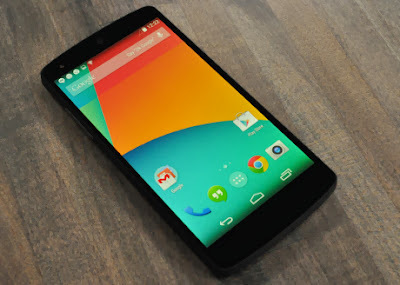 Google announced that the Nexus 5 price from USD 349 for the 16GB version and $ 399 for the 32GB version. If dirupiahkan, approximately 3-4 million. Nexus 5 is using the latest generation of Snapdragon processors from Qualcomm and 800 full-screen HD. Is also equipped with the latest Android OS, KitKat. Typically, another Android handset brands that use the same specification sold quite expensive, more than $ 4 million. Like the Nexus 4, Nexus 5 is made Google teamed up with LG. In the previous generation of Nexus, Google had partnered with Samsung and HTC. Nexus 5 will be available soon, was first released to the United States, Canada, continental Europe, then proceed to other countries. Similarly, as quoted from BGR, Friday (01/11/2013).